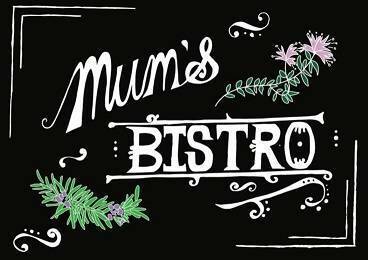 Mum’s Bistro is a small family business located at the Cornwall Hotel at 20 Ryan Street Moonta. Well known chefs in the country town offer a wide ranging menu with something for everyone. You can get the famous Nat’s parmy on your schnitzel/ steak/ shanks / salmon/ pork belly/ salads / to more traditional pub style foods. We have a great selection for all dietary requirements from Gluten Free / Vegan / vegetarians and allergies, You can get great value and excellent quality meals in a quaint and warming atmosphere where you can just sit back and relax !! We offer cakes and beautiful house made desserts along with great barista coffee, tea, shakes, fresh juices and daily specials. We are open for breakfast and lunch Wednesday to Sunday from 10 am to 2 pm, and for dinner Wednesday & Thursday night 6 pm to 8 pm and Friday and Saturday nights. from 6 pm to 8.30 pm. Don’t forget to book to secure your seat for a great dining experience. There is a fun kids play room, an alfresco area out the front for dining. We have a function room for private events and large groups. We can cater for all special events including corporate, weddings, bridal, baby showers, high teas, bucks, birthdays, family gatherings , Christmas Events,Wakes and more.